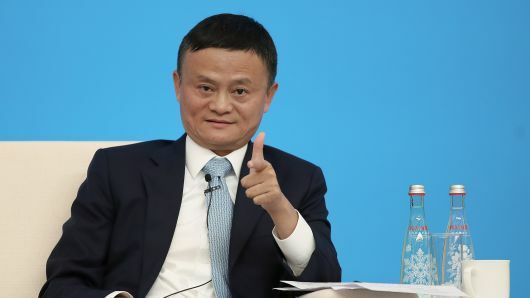 Jack Ma, the head of e-commerce giant Alibaba Group and China’s best-known capitalist, is a Communist Party member, the official Party newspaper said on Monday, debunking a public assumption the billionaire was politically unattached. The People’s Daily revealed Ma’s Party membership in a list of 100 people it said had helped drive the country “reform and opening up” process. Ma is China’s richest man with a fortune of $35.8 billion, according to Forbes. It was unclear why the paper chose to mention Ma’s affiliation now but it comes amid a push by Beijing to bring the country’s private enterprises more in line with Party values, especially in the technology sector that has grown rapidly, driven by the successes of private firms. Ma, who announced in September he would step down as Alibaba chairman next year, is China’s highest-profile business leader. He has acted as an adviser to political leaders in Asia and Europe and fostered big ambitions in the United States. He has driven Alibaba to become a $390 billion giant, which dominates China’s online retail market, stretches from logistics to social media, and has spawned a separate fintech empire around popular payment platform Alipay. Ma’s political affiliation came as a surprise to many. Results from domestic search engine Baidu, when asked “is Jack Ma a Communist Party member,” also mostly said that he was not. Alibaba declined to comment on Ma’s Party membership, but said political ties did not impact the firm’s operations. “Political affiliation of any executive does not influence the company’s business decision-making process,” a spokesperson said in emailed comments to Reuters on Tuesday. The People’s Daily list also included Baidu head Robin Li and Tencent Holding chief Pony Ma, though did not name either of them as Party members. Baidu, Alibaba and Tencent together make up the “BAT” trio of China’s top tech firms. The paper did not say when Ma had become a Party member.